Michael Chaffee, philosophy, The Box | Challenging the perceptions for our realities! 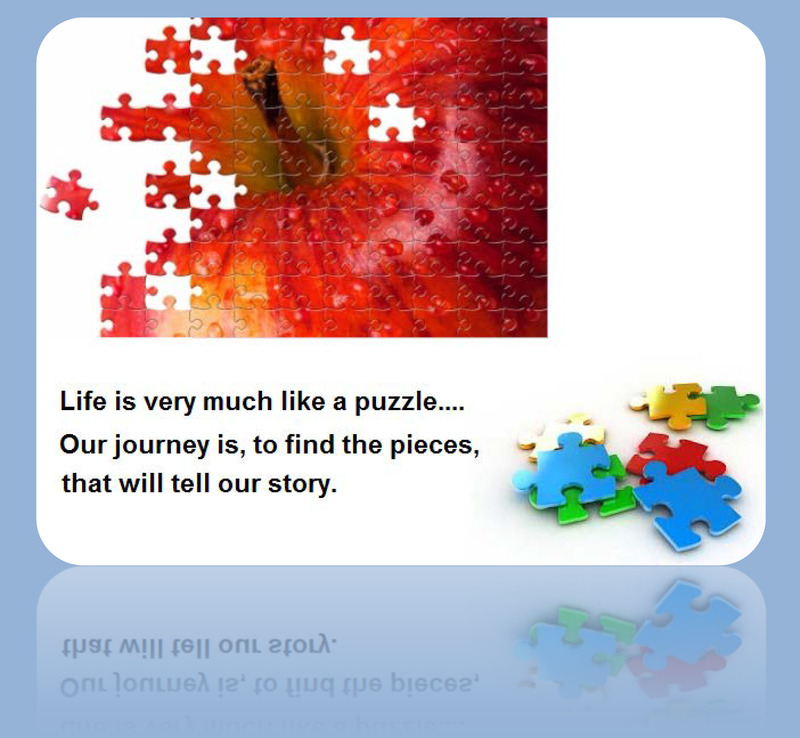 In this journey we call life there are many pieces to the puzzle that introduce themselves and from these we may draw our conclusions, project our intentions and collaborate our opinions, as to how to fit the many pieces into a focused singular image. In the formation of such a field of view, we formulate our appreciative understandings and ascribe often to the persuasive influences of chosen doctrine and dogma, which contributes to how we fit these shapes into what we see, metaphorically speaking. In harboring our beliefs, it establishes a common language and in framing in the pieces with borders, it additionally establishes the boundaries for the images that we allow to enter our line of sight. Today’s terminology for this type of structured thinking, is to either be thinking INSIDE or OUTSIDE the “box”. 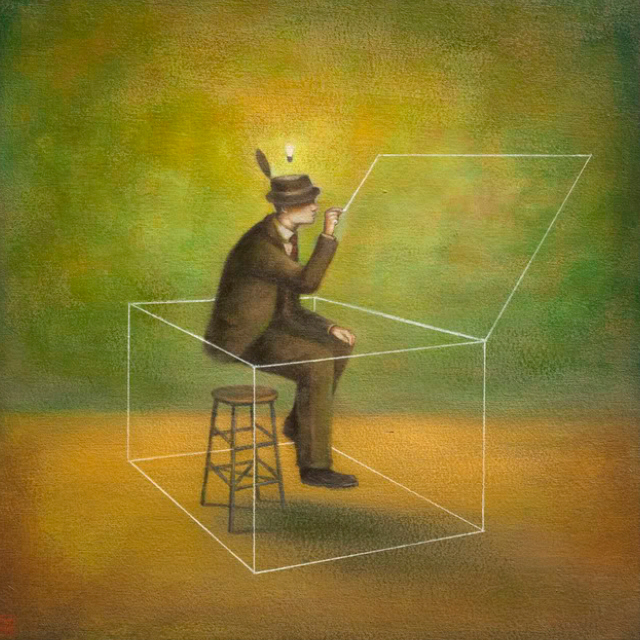 Now…this “box” so to speak, of course is an imaginative reference to confining our thoughts to a consensus, agreement or argument for what we should be considering to be placed inside or outside the confines of societal norms. The language in which we choose to speak in the formation of definitions, is what we communicate to others as our reality, and arguably, in doing so it will place one inside or outside the box. If reason is always the constant part of the equation for processing and expressing deductive thought, rather than choice well..then, the deducing results are most likely going to end up, outside the box! Additionally, if reason influences one’s decisions rather than choice, then the conclusions one reaches will often be met with objection by those ascribing to the choices being made only from inside the box. Why?…Simply because the box’s boundaries are comfortable and anything outside is threatening to those choices in an ascribed status reality. The box appears to offer organization rather than chaos. The box appears to be conforming to a narrower, less controversial consensus of conformity for establishing agreement, and the box seems to offer greater security from it’s normality? So…why aren’t the out of the box thinkers affected in the same way? What is it about the out of the box thinkers that allows them to ward off the pretentiousness in the assumptions being presumed in that of a narrower field of view? What can be recognized in the designs of a socialistic prescription, that perpetuates divisions and authenticates adversarial audacious behaviors? What advantage is gained in the exemption for contempt for the impertinence being portrayed? What appears as more normal, isn’t happenstance! It has societal influences that sways the inconclusiveness of conjecture and narrows the widest spectrum of possibilities, for the field of view for all possibilities! So it could be said that the “Box” has purpose and that society as a whole…could more easily reckon with choice, if in fact those choices were narrowed down to the ones that were most predictably containable in the confines of such a “Box”. Now where does this leave reason..hum? Maybe absent reason, we can keep going to war. Maybe absent reason, we can keep screaming at the top of our voice, and the box can remain sound proof? Maybe absent reason, we loose our reflection, that could otherwise run so much deeper? Look at how all the stars fall down, yet we never wonder why we keep celebrating these unworthy examples. We just keep making the same mistakes by choosing, rather than applying sound reason.